Metallica headlined the Lollapalooza festival in Buenos Aires, Argentina on March 31 and professional video of the band’s full set has surfaced online. The performance at the city’s Hippodrome San Isidro followed the group’s appearance at Lollapalooza Chile in Sao Paulo, Brazil on March 25 (watch full show here) as one of three festival gigs in South America that would wrap up at Lollapalooza Chile on April 1. 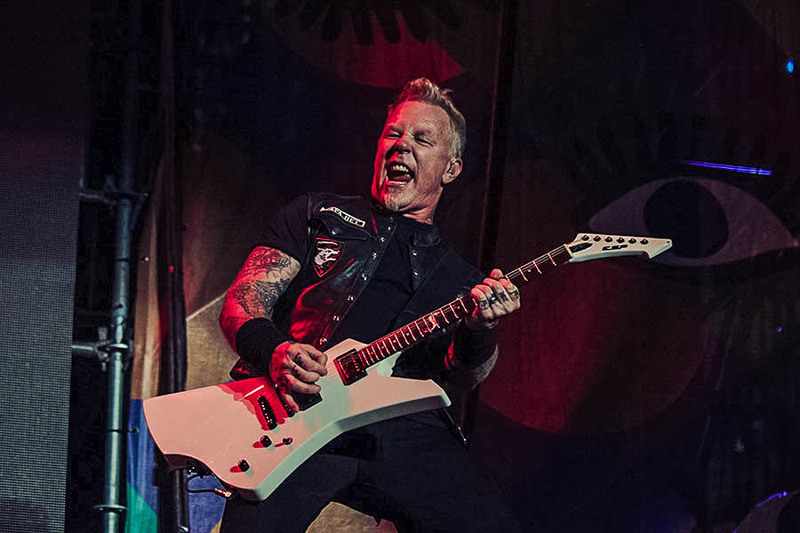 Metallica will resume the Worldwired tour in support of “Hardwired…To Self Destruct” when they begin a 25-show summer stadium tour of North America at M&T Bank Stadium in Baltimore, MD on May 10. This week, the group were announced as one of the headliners at the Outside Lands festival at Golden Gate Park in their hometown of San Francisco, CA over the weekend of August 11-13.